Mount connector: SO239 (M Female). Cable to radio's connector: PL259. VX300 VX350 VX351 VX354 VX400 VX410 VX414 VX417. VX800 VX820 VX829 VX920 VX924 VX929 VX970. Compatible with :Vertex Standard. 400-470MHz (UHF ). •All of our items are brand new. •Connector Type: SMA-F (Female). •Band: Dual Band VHF/UHF. •Frequency: 144MHz/430MHz. •Gain: 2.15dBi. •Max Power: 10Watts. •V.S.W.R: Less than 1.5. •Impedance: 50ohm. 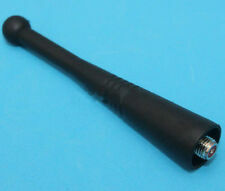 •Antenna Length: 6.5cm. 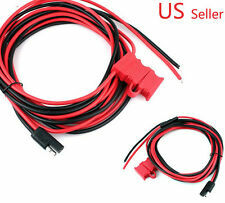 Colour: Orange Quantity: 1PC MPN Does Not Apply Band Unbranded UPC Does not apply Brand Unbranded. For YAESU VERTEX. 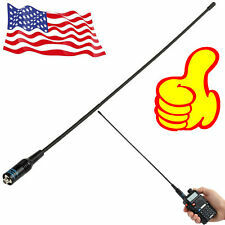 Dual Band Two-Way Radio with Female Antenna Mount and use with SMA Male Antenna, such as SMA Male Dual Band Antenna 14 5 /435MHz (14.4" Whip). 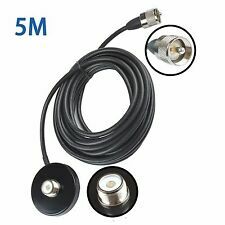 SMA Male Dual Band Antenna 144/435MHz (7.56" Whip). VX300 VX350 VX351 VX354 VX400 VX410 VX414 VX417. Compatible with :Vertex Standard. 400-470MHz (UHF ). VX418 VX420 VX424 VX427 VX428 VX429 VX450 VX600. ☆　CP040,CP140, CP150,CP160,CP180, CP185,CP190, CP200. UHF Antenna. 400-470MHz (UHF ). Compatible with :Motorola. ☆　PRO1150, PRO2150, PRO3150, PRO5150, PRO7150. ☆　SP50, SP10, P10, P50, P100, P110, P200, P210, P1225, P1225-LS. HT600 HT750 HT10 HT50 HT1250 HT1250 HT1250-LS HT1250-LS HT1550 HT1550XLS. PR400 PR860 SP10 SP50 P10 P50 P100 P110 P200 P210 P1225 P1225-LS. CP150 CP200 PRO1150 PRO2150 PRO3150 PRO5150 PRO7150 PRO9150. CP110 EP150 XTNI A10 RDU2020 RDV2020 RDU4100 RDV5100 Two Way Radio. It is just a plastics hose tube pipe, Not a antenna. Fit Motorola. TK2103 TK2106 TK2107 TK2118 TK2140 TK2160 TK2170 TK2180. VHF Antenna For KENWOOD. 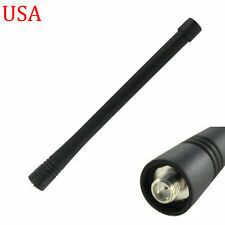 VHF 136-174MHz SMA-F Antenna for Kenwood Handheld Radio. 136-174 MHz (VHF ). Style: Stubby. Impedance: 50 ohm. Frequency: 136-174 MHz. XTS1500 XTS2250 XTS2500 XTS3000 XTS3500 XTS4250 XTS5000. 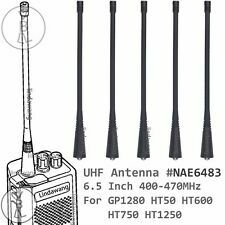 UHF Flexible whip Antenna. 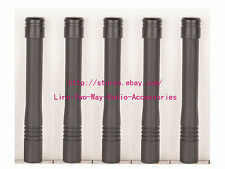 UHF Band, Flexible whip antennas 403-520 MHz - "Light grey" Color Code 133mm Length. 400-520 MHz (UHF ). Flexible whip antennas have a one-piece finish and steel core for optimal radiation characteristics. KRA-26 VHF Antenna. Compatible with :Kenwood. Impedance: 50 ohm. XPR3300 XPR3500 XPR7350 XPR755. DP4600 DP4601 DP4800 DP4801. Motorola UHF Stubby Antenna 403-527MHz. 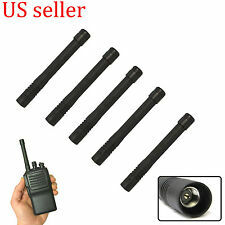 For Motorola Portable radios. HT10 HT50 HT600 HT750 HT1250 HT1250-ls HT1250-ls HT1550 HT1550-xls. SP50 SP10 P10 P50 P100 P110 P200 P210 P1225 P1225-LS. CP040 CP140 CP150 CP160 CP180 CP185 CP190 CP200. PR400 PR860. UHF Antenna. 400-470MHz (UHF ). 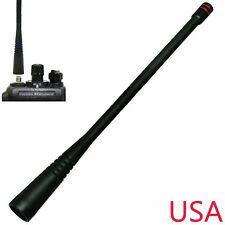 US STOCK, Brand antenna from Nagoya!! TK2300 TK2302 TK2306 TK2307 TK2312 TK2360 TK5210 TK5220. TK2103 TK2106 TK2107 TK2118 TK2140 TK2160 TK2170 TK2180. VHF Antenna For KENWOOD. 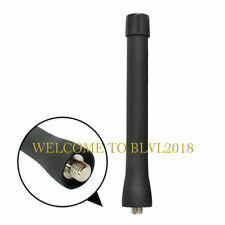 VHF 136-174MHz SMA-F Antenna for Kenwood Handheld Radio. 136-174 MHz (VHF ). RDU2020 RDV2020 RDU4100 RDV5100. It is just a plastics hose tube pipe, Not a antenna. Fit Motorola. Two Way Radio.